If I asked you to name China’s most popular hot, caffeinated beverage, you’d probably say tea. And you’d be right—with a history of more than 5,000 years, Chinese tea isn’t going anywhere soon. However, coffee—a relative newcomer to the caffeine scene in China—is making waves, and quickly. Coffee consumption in China has skyrocketed in recent years, nearly tripling in a span of just four years. Global giant Starbucks has led the way in the emergence of China’s coffee culture, with a new store opening approximately once every 15 hours! And the growth of international chains like Starbucks and the UK’s Costa Coffee has likewise given rise to an explosion of local cafes dotting the streets of China’s city blocks; Shanghai alone is home to an estimated 6,500 coffee shops. China has its youth to thank for its recent coffee boom. Millennials have been blamed for a lot in recent years, including singlehandedly doing in the paper napkin and diamond industries, and their reputation for spearheading change isn’t limited to the West. In China, growing exposure to global influences has meant that today’s young adults see adopting Western culture, including imbibing coffee, as a sort of status symbol and a form of self-expression. Walking into one of Shanghai’s new cafes, with its grainy wood furniture, exposed brick walls, hanging plants, and intricate latte foam designs, you might even say China has developed its own breed of hipsterism. But where did this great Chinese coffee outbreak begin? 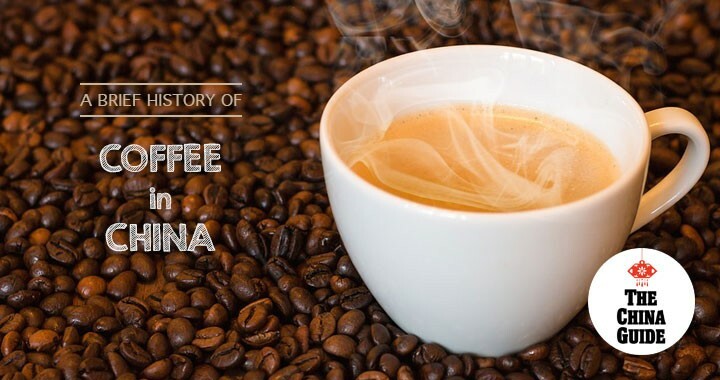 China’s first encounter with coffee occurred in the late 1800s, when a French missionary introduced it to Yunnan province. However, according to the International Coffee Organization, coffee production didn’t flourish into a full-fledged industry until 1988, when the government renewed efforts to build up the sector with assistance from the World Bank and the United Nations Development Program. Coffee production has expanded widely since then, with much of its growth taking place in the last twenty years. China has, in fact, risen from the 30th largest producer of coffee in the world in the mid-90s to one of the top 20 global coffee producers today. Almost all (more than 90%) of China’s coffee is still produced in Yunnan, where Arabica is the sole variety grown. More coffee means more coffee drinkers. In 1999, little over a decade following the resurgence of the coffee production sector, the first Starbucks store in China opened in Beijing. There are now almost 2,000 Starbucks locations nationwide, and the enterprise recently announced plans to open an additional 3,000 stores in China within the next few years. With a coffee shop (or two or three) on every corner in cities like Shanghai and Beijing, you’d expect China to be buzzing with over-caffeinated coffee fiends. Not so, it turns out. The average Chinese person drinks just 3 cups of coffee a year, says Euromonitor International, although this estimate is probably higher in urban areas. The per capita average in the US, by comparison, is 363 cups per year. Why the low consumption, you might ask? Since drinking coffee confers status of a sort, the price of coffee in China is high, often prohibitively so. The average cup of joe in China costs 18-40 RMB (roughly 3-6 USD), which could purchase you a whole meal or a month’s internet. A triple venti caramel macchiatto certainly isn’t something most Chinese people, except for the exceptionally rich, can fit into their daily routine. That said, disposable income is growing in China, meaning more people have money to spend on coffee. In fact, coffee consumption is estimated to have grown 16% each year over the past decade, compared with just 2% in the US. Growing competition between coffee shops and increasing local production may also result in lower prices in the years to come, making a daily coffee a more affordable prospect.